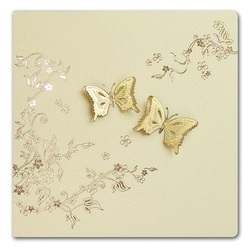 The invitation is made from high quality metallic paper. 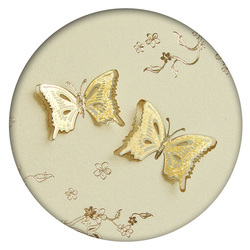 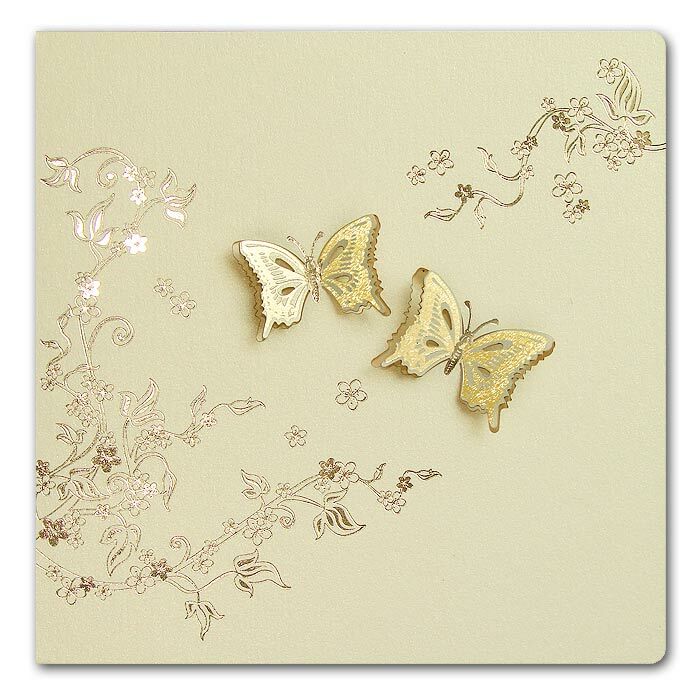 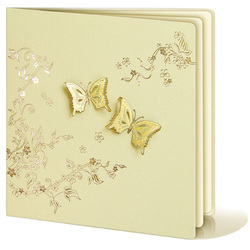 The ecru cover with a golden shimmer is decorated with a gold motif and cut out butterflies. 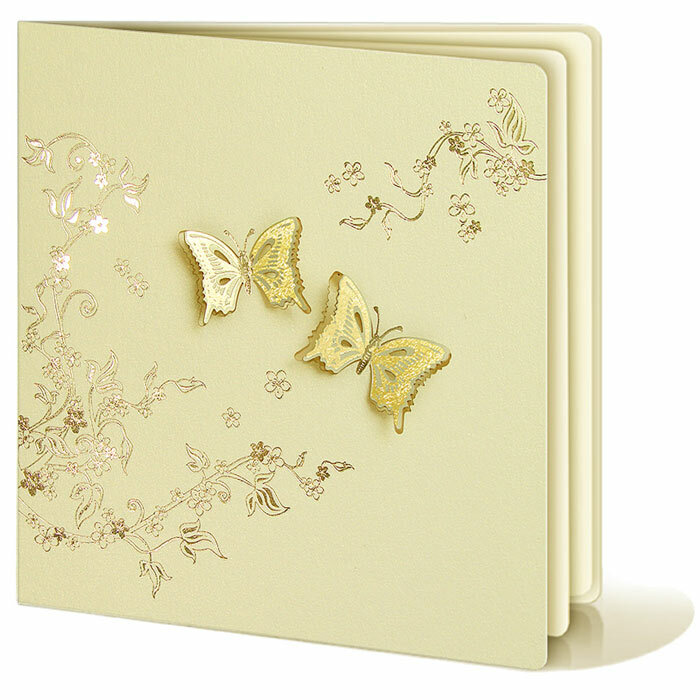 The insert is opalescent with gold highlights.